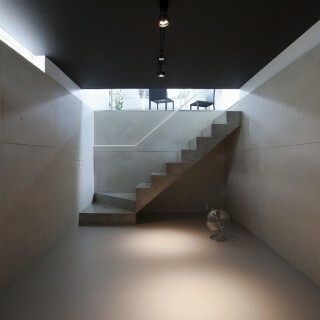 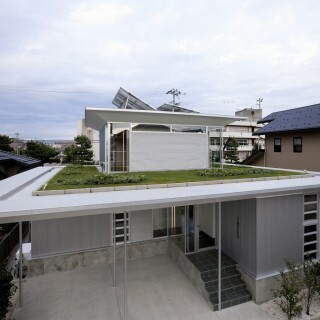 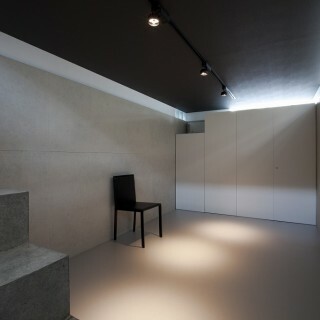 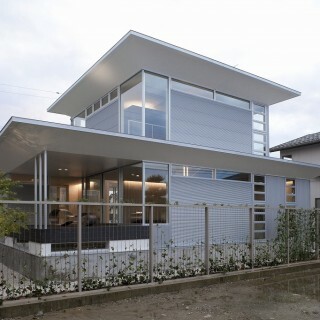 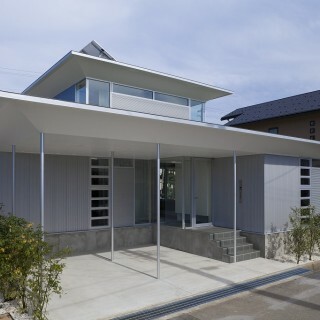 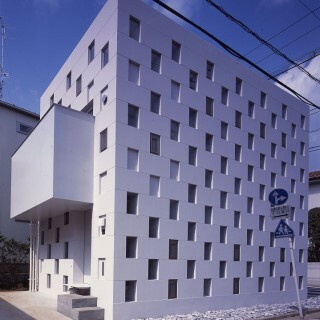 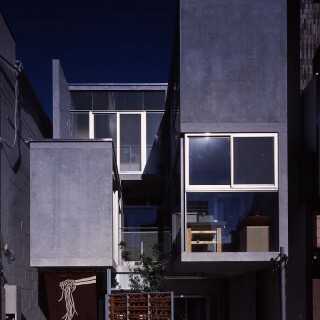 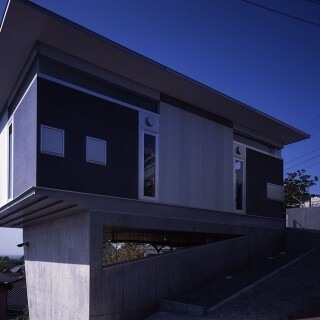 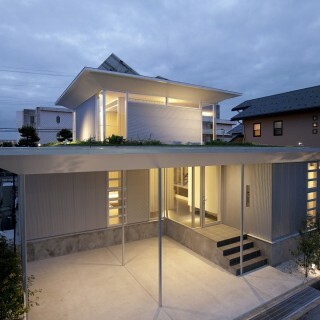 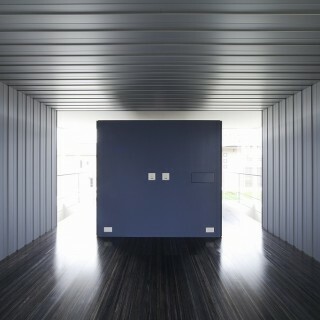 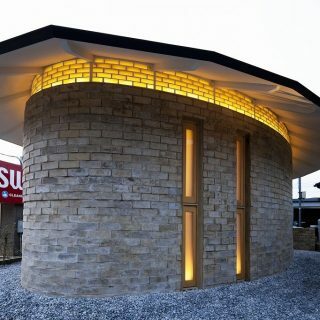 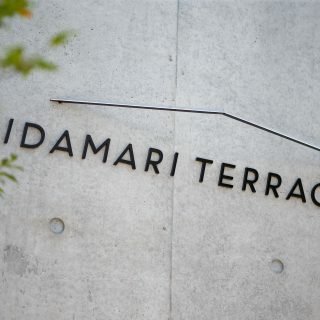 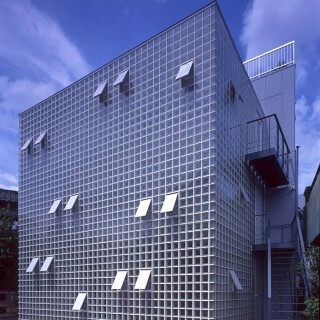 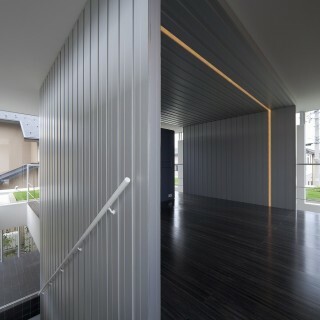 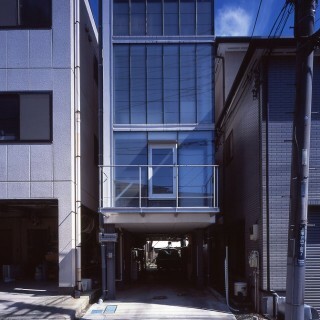 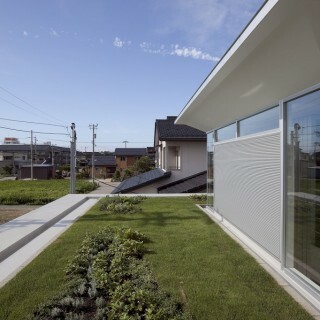 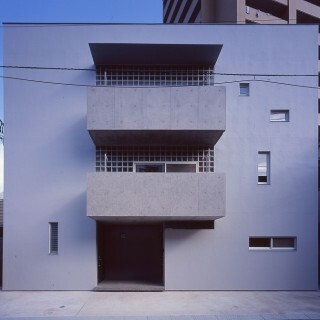 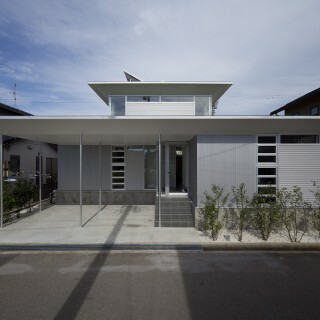 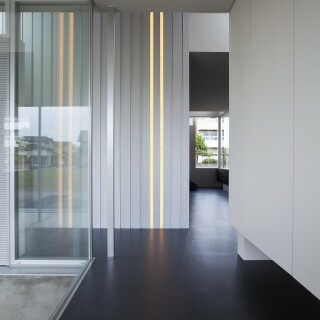 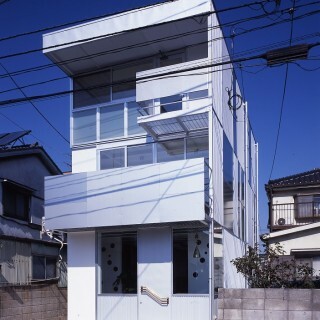 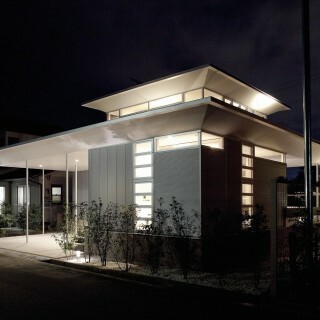 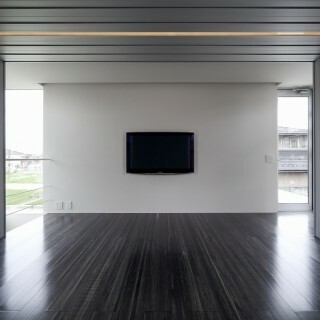 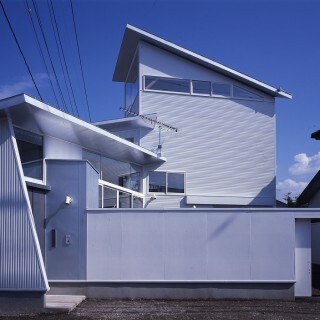 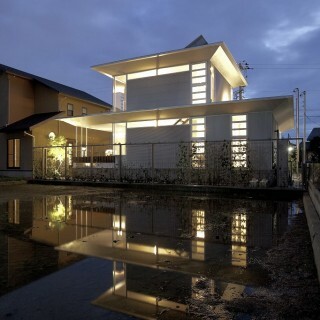 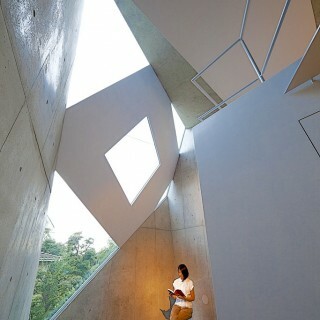 The house is located in Kanazawa City in the Hokuriku region, which has one of the bitterest winter climates in Japan. 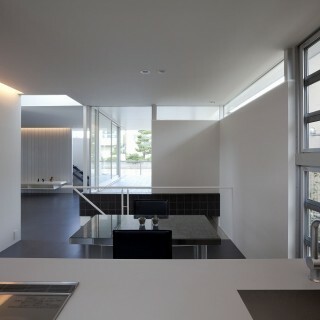 The intention was to design a comfortable living environment that would not be affected by the severe humidity, snow or rain. 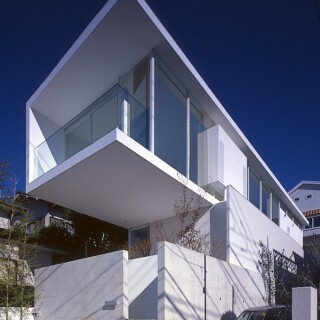 Using aluminium throughout the building as construction material was another major objective. The project was selected as one of the official CO2 reduction case studies approved by Japan’s Ministry of Land, Infrastructure, Transport and Tourism (MLIT). 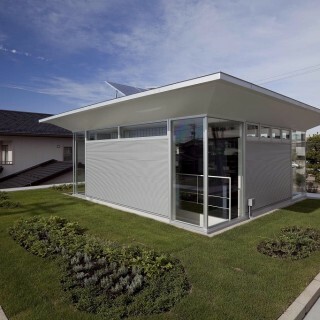 The aluminum frame basically functions as the structural element, the thermal control system, and the service duct shafts. 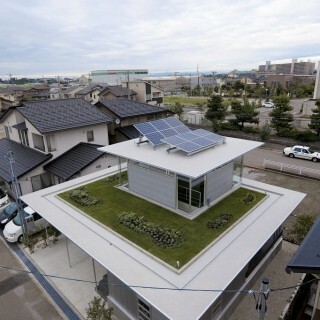 In addition, high efficiency energy reduction features were adopted in this house, including a solar power generator, wall and roof greening system, LED lighting, and an all-electric heating system.